You’ll never guess what these celebrities looked like as children. Some of them were simply adorable. Others, not so much. Some came from simple homes others were born into famous families. But either way, you could see the spark in their eyes that showed they would make something of themselves. These are all people who would outwork and outperform their peers ultimately leading to their making a name for themselves. 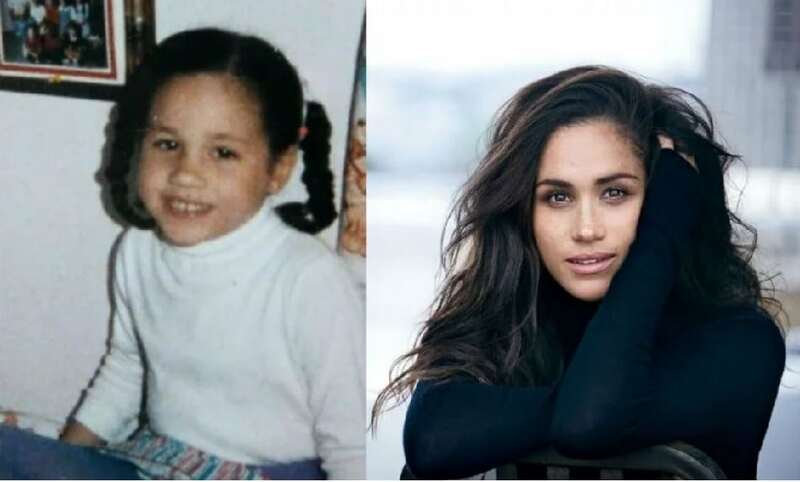 LA born Meghan is of African-American and Dutch-Irish descent. Her father Tom, met her African-American mother when they were working on the set of a soap opera in the 1970s. When Tom worked as a lighting director on 1990s sitcom Married…With Children, Meghan would frequently visit, giving her a front-row seat into what goes on behind the cameras. While trying to break into acting, she worked as a freelance calligrapher and counted Dolce & Gabbana as one of her clients. Meghan was previously married to LA production company manager Trevor Engleson, they dated for seven years and were married for nearly two years. Meghan met Prince Harry on a blind date in July 2016. They are engaged to be married.